If you yell that a lot you need to get a Tech Alert from Creative Stage Lighting. We’re happy to say that we’ve just updated Tech Alert and are now introducing Tech Alert II! 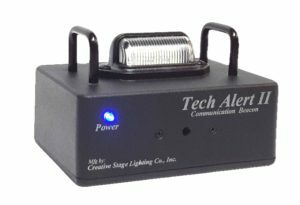 An update of our original Tech Alert communication beacon, Tech Alert II brings forward all the same features, including a loud 85db pulsing buzzer with on/off switch, a sleek and compact design, and a die-cast enclosure to make it rugged for the road. Top roll bars protect the top-mounted LED light and are great to use with a carabiner to hang from wherever you want. Tech Alert II is Clear-Com and Production Intercom party-line compatible. Using Tech Alert II is simple. Need to flash? 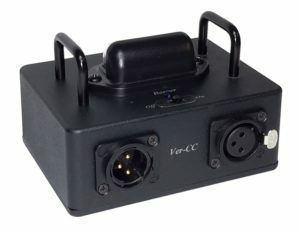 Press and release the Intercom call signaling button on your beltpack or base station. This will cause the Tech Alert II strobe to flash 8 to 10 times. Also need a buzz? Press and hold (for 5 seconds or more) the Intercom call signaling button on your beltpack or base station. 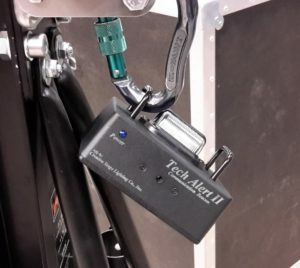 This will make the Tech Alert II to flash the strobe and trigger the audio alarm. Both the strobe and audio alarm will continue until the call signaling button is released. Give your techs an alert they can’t miss with Tech Alert II. Learn more about Tech Alert II and place your order on our online Store.